Towards the end of last year the BBC aired a documentary on the Great Banking Crisis of 2008, which featured various bankers, government ministers and officials recounting the emergency meetings where the decision was taken to nationalise large parts of the British financial system. The Royal Bank of Scotland, once one of the most successful institutions in the world, had, by late 2008, been reduced by an ill-advised expansion strategy to a virtual basket-case, and was only hours away from total collapse. Faced with the prospect of millions of citizens waking up to find their accounts frozen, the government called the RBS management into the Treasury to finalise the details of the deal that would eventually see the state acquire 84% of the bank. During the course of this meeting, officials realised that Fred Goodwin, RBS Chief Executive, seemed to have only the flimsiest grasp of the trouble his bank was in, believing that a modest cash injection would be enough to stabilise things. 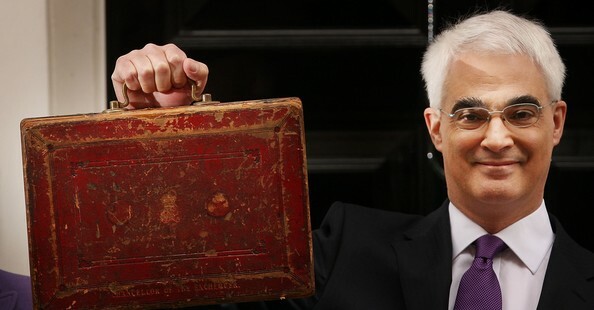 Goodwin retired shortly afterwards, with a generous pension, leaving the taxpayers to contemplate the lesson that, as Chancellor Alistair Darling ruefully noted, when it comes to running banks it’s a good idea to hire people who know what they are doing. We tend to assume that, when someone reaches a position of responsibility, this must be as a result of some rational process that evaluated their competence for it. However we are often faced with evidence, like the poor decision making that led to the financial crisis, that contradicts this, and suggests that other, unknown factors must play a part in the selection of our leaders. 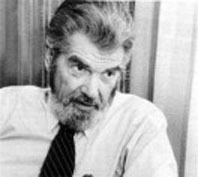 Laurence J. Peter, who died in 1990, is best known as the author of the Peter Principle, which states that “In a Hierarchy Every Employee Tends to Rise to His Level of Incompetence.” Workers who are good at their jobs are promoted until they are in a job they can’t do, at which point they get stuck. Since big organisations tend to find it difficult to get rid of people, eventually every position will be filled by someone who is incompetent to manage it. I was thinking of all this when I read about Linden Lab’s latest marketing wheeze; an advertising campaign that seeks to dispel a supposed “Fat Naked Guy in a Basement Anti-Second Life Meme” by showcasing the attractive people behind selected avatars. This seems to me to be wrong-headed on so many levels that it does raise doubts about how well the Lab management understand their own product and what makes it attractive to their paying customers. One only has to google “Linden Lab incompetence” to come up with plenty other examples of Lab strategy that have proved unpopular with the resident community. On the other hand, Mark Kingdon has an MBA from the Wharton School of Business, and years of experience in senior management, whereas I am an embittered loser with a blog (though, I must point out, reasonably slim, fully clothed, and currently resident above ground). Who would you trust to run a successful company? Technorati are once again listing Second Life Shrink, and, I’m glad to say, seem to have recognised our influence by giving us an authority score of 112 (our previous best was 4), and an overall ranking of 57,472 (the highest we managed under their old system was 751,289). I’m not sure why we suddenly seem to have become more authoritative, since we are, by and large, just posting the same rubbish we always have. We have been getting a few more incoming links, notably one from the Alphaville Herald last month referencing our analysis of the JLU story. We did get some increase in traffic on the back of that, though less than I was expecting, more of a blip than a surge. I suspect our authority will prove to be transient, since Technorati claim that their rankings are calculated over a much shorter period of time than under their old system. I don’t know if ArminasX is planning to update his SL blog list, but if so I hope he does it soon, while our figures are still good. 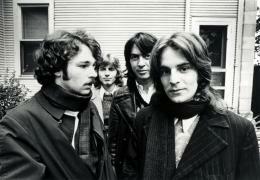 Well this is sad news; Alex Chilton died earlier this week, at the tragically young age of 59, just days before Big Star were due to play a reunion gig at SXSW. 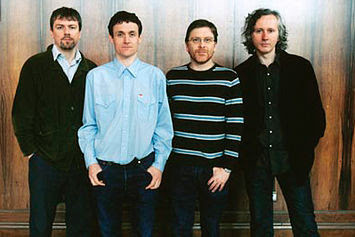 I came to Big Star via Teenage Fanclub, who were heavily influenced by the harmonies of the Memphis-based band. Thirteen, the Fannies 4th album, is named for this classic Big Star track. I’ve not listened to #1 Record for a while – although it came out in 1972, in my mind it’s associated with the mid-90’s, when I had it on a lot. I’ll get it out and enjoy some good memories – just a shame I’ve been reminded of them in such sad circumstances. It was reported yesterday that Facebook had overtaken Google to become the most popular website in the US last week. The social networking site gathered 7.07% of total hits (up 185% on last year), marginally ahead of Google’s 7.03%. Pundits are suggesting that this is an indication of how people are increasingly using the internet in a different way – instead of searching for information, the theory goes, we are now looking more for social connections. As we’ve noted before, this type of thinking seems to be driving Linden Lab’s corporate strategy, as they try to market Second Life as a social networking application. They clearly have some way to go to compete with Facebook though, both in the raw numbers – FB has a user base of 400 million, and concurrency of up to a million, against SL‘s figures of 18 million and 80,000 respectively – and in terms of cultural penetration. Major newspapers are still publishing articles that assume that the majority of their readers will never have heard of Second Life, while Facebook references can be found even in traditionally conservative media like legacy comics. Grace McDunnough posted an interesting piece (illuminating comments too) on the Lab’s marketing strategy a couple of days ago. Referencing a recent Harvard Business School case study, which itself draws on Geoffrey Moore‘s influential 1991 book Crossing the Chasm, Grace concludes that the educational market is a bust, the “adult” market is an embarrassment, and that content creators are being slowly sidelined. What does this leave? A 3D chat service, or, as Grace puts it, “playing house with paper dolls”. This rings sadly true to me, and seems a terrible waste of the platform’s potential, but I guess there’s no arguing with market forces. It seems that the early adopter community (in which I count myself spiritually, if not strictly speaking temporally) is going to find itself increasingly marginalised. We can only hope that the Facebookisation of Second Life turns into a complete fiasco, M. Linden gets his cards, and a more enlightened management goes back to the original, steady (if limited) business model of taking money from people like me, who are willing to pay a few bucks a month to live out the life of the mind in a virtual world. Readers may be wondering what has happened to my grand plans to launch a grid-wide insurrection to bring democracy to Second Life. I haven’t forgotten about it completely, but I have been distracted by some real-life political activity; I realised that if I had time to spend on agitation in an imaginary world, then I had no real excuse for dodging my responsibilities in my local community, where the issues are rather more pressing. I was also a bit discouraged when I read Annabelle Boyd Jones’s B.A. thesis (OK, when I read the abstract of Annabelle Boyd Jones’s B.A. thesis) The Disconnect Between Journalism and Governance; A Critical Analysis of the Interaction of Journalism and Governance in the Virtual World Second Life, in which she concludes that journalism (and what is SLS if not citizen-journalism?) has had “negligible influence over the structure and direction of governance”. Ms Jones was awarded first class honours, so I guess her work is fairly robust, though I felt her selection of SL sources was a little restrictive, taking in the usual suspects like the Herald and New World Notes, plus the now-defunct AvaStar and Reuters SL, though also Your 2nd Place and Second Thoughts, the latter amusingly characterised as “incendiary”. It can be argued that Second Life is a similarly fresh political landscape, and the challenges faced by anyone trying to build a progressive movement on the grid would be comparable to those in front of the Bolsheviks as they sought to galvanise the population of Russia around a new ideology in 1917. It would follow that, just as there are lessons for revolutionaries today in the events of October, agitating in SL might teach us something about organising in real life. Role-playing revolutionary games in Second Life could provide the intellectual space where ideas about engaging people with radical politics can be tried out and refined, before being fed back into offline experience. For example, I was thinking about how I might go about recruiting members to an SL Communist Party, and naturally I fell back on my fairly extensive experience of doing similar things in the real world. Thinking about how to translate this on to the grid forced me to consider what worked and what didn’t, what were the really essential steps and what was just habit, what was outdated and what still applied. All this was still in my mind the other day when I met with some people to talk about what kind of intervention we can mount around the forthcoming UK General Election, and my contribution to that discussion was certainly informed by the thoughts I’d had about Second Life. Time will tell how useful these grid-derived insights are going to be of course, and the process would undoubtedly have been more valuable had I started it about a year ago, so that I could have gone through a few iterations of virtual party building and generated more feedback, but it felt as if I had been able to look at things from a new angle. Does this mean that I am softening on my immersionist position and coming round to a more augmentalist viewpoint? Not really, because I still think that what happens on the grid has no direct significance outside of the game world, and that no matter how good a virtual simulation might be, the lessons learned only become valuable if they are applied to action in the real world. The idea that games can be useful in preparing us for more serious affairs is hardly new of course; it’s something we have been doing in one form or another since the dawn of humanity. 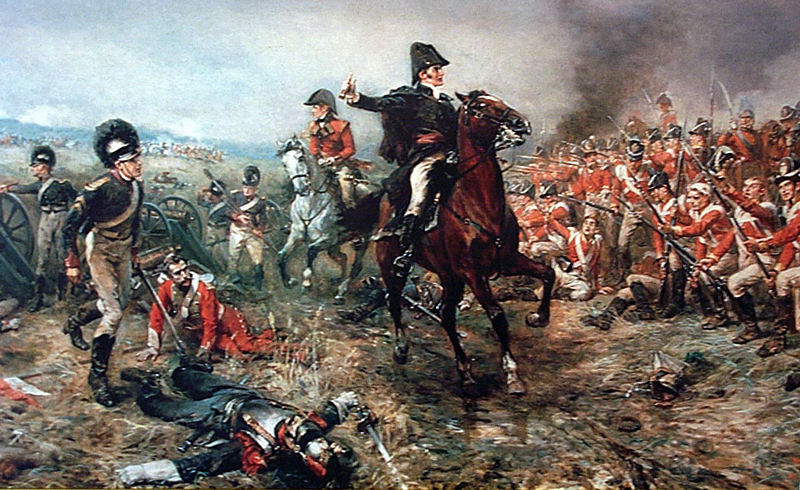 Wellington said that the Battle of Waterloo was won on the playing-fields of Eton, (though Orwell thought that the opening battles of all subsequent wars had been lost there.) Perhaps the outcome of future conflicts will be decided on the sims of Second Life. Here’s a classic social psychology experiment: recruit a bunch of college students and split them into two groups. Have them all spend a couple of hours doing some dull, repetitive task, but give the first group $50 each for their trouble, and the second group only $1. Then ask them to report how enjoyable the job was; the high-paid group will tend to rate it lower than those who received only a pittance. This may seem paradoxical, but is easily explained. The contrast between the subjects’ image of themselves as smart, successful people and the menial task they have been assigned causes them to experience an uncomfortable cognitive dissonance; the first group can resolve this by reasoning that they’re doing it for the money, but the second group have to try to convince themselves that the job itself is intrinsically interesting, and that they’re not stupid for wasting their time with it. I thought of this when I read the story of the businessman who dramatically cut his document-translation bill by getting SL residents to do it for L$50 (US$0.20) a go, rather than the going rate of US$50. (I learned of this via a tweet from Wallace Linden, who seems to think that it’s a great advert for the platform; “Do business in Second Life – our residents are morons who will work for buttons!”) I can’t imagine that the people who did the work really believe that their time is worth only 0.4% of their real-life equivalents, so they must be thinking that, because it’s happening in SL, it’s actually fun, and not work at all. (Of course they may be ripping the guy off by cutting and pasting his documents through Google translate, but even that would take a couple of minutes, so we’re still talking sub-minimum-wage labour).